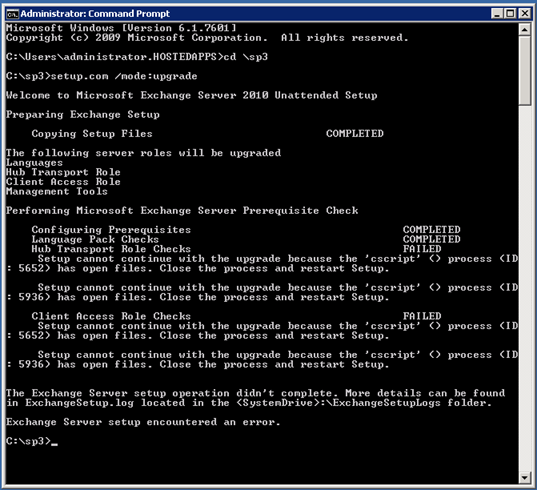 Setup cannot continue with the upgrade because the ‘cscript’ () process (ID: 5652) has open files. Close the process and restart Setup. When looking with task manager several script processes were indeed running. It turned out to be the System Center Management client that was performing all kinds of activities. Stop the System Center Management agent (via the Services MMC Snap-in) and the upgrade runs fine.